Very good staff. That's what really jumped out at me. Gilroy coming off a 2nd place finish at California state and has a great program in place. They've yet to break through for that elusive state title (in recent years, not sure about in their history) and with state powers Buchanan and Clovis seemingly reloading year after year, I'm interested to see if Cormier can get them over the hump. Wont be an easy task. Hopefully his weight management tips are something he doesn't share with the team. I would think the opposite. If ever there's a compelling reason to get ones act together weight management related, I'd think his experiences would be just about as compelling as anyone's. Probably more. I'd expect heavyweights who comfortably fall under the limit would be the ones who's "tips" might not carry much weight. This guy missed any Olympic games making weight. This is someone I'd absolutely listen to if he got on me about my weight. Deron Winn, Shawn Bunch, and Oh and add Kyle Crutchmer to the list! This could be a DI coaching staff. I agree. DC is someone anyone would be wise to listen to on weight management. He has gone from a heavyweight to the best light heavyweight (205 pounds) in the world. I wouldn't. You do remember the infamous video with Jackson and Monday telling him that if he didn't stop what he was doing he would weigh 300 lbs when he retired from wrestling. Or the months long "Super Size" binge prior to Beijing. I honestly am not impressed by Cormier as a hire, they got a big name and they'll attract some tough guys as assistant coaches, but I doubt Cormier is going to be there daily running practice and being a true head coach. He's a figurehead. A small local Catholic school with a well below average wrestling team by Arizona standards hired 4x AA and Hodge winner Eric Larkin. Within 4 years he had a team knocking on the door of being in the top 20 at the big tournaments. He produced 3 or 4 D1 guys. I don't think Cormier will be much of a coach other than just standing around and being the face of the program. Daniel Cormier is a good guy who will do a great job. He has been famous within the wrestling world for nearly twenty years and the biggest knock on the guy's character is that he struggled with weight management. C'mon man! Figurehead or not, this is a good hire for a very good high school program. He is more than qualified to coach high school (and college and international) anywhere and every program would consider themselves lucky to have him. To suggest otherwise is ridiculous. wonder if DC is looking to end the MMA career fairly soon? I wouldn't. You do remember the infamous video with Jackson and Monday telling him that if he didn't stop what he was doing he would weigh 300 lbs when he retired from wrestling. Or the months long "Super Size" binge prior to Beijing. I honestly am not impressed by Cormier as a hire, they got a big name and they'll attract some tough guys as assistant coaches, but I doubt Cormier is going to be there daily running practice and being a true head coach. Do I remember it? Yes, you quoted above my comments regarding his issues at the Olympic games. He's retired from wrestling and he's in the 220's. Can we conclude he made the changes needed in order to not be over 300 pounds? In terms of weight management, the kids have one of the very best they could have as their head coach. From your own post, he's a good 70 or 80 pounds below where he'd be expected to be. This is a positive, right? Less than 1 year away from calling it quits. He said he will not be fighting in his 40's. He turned 39 last month. You act like Larkin developed those guys himself. 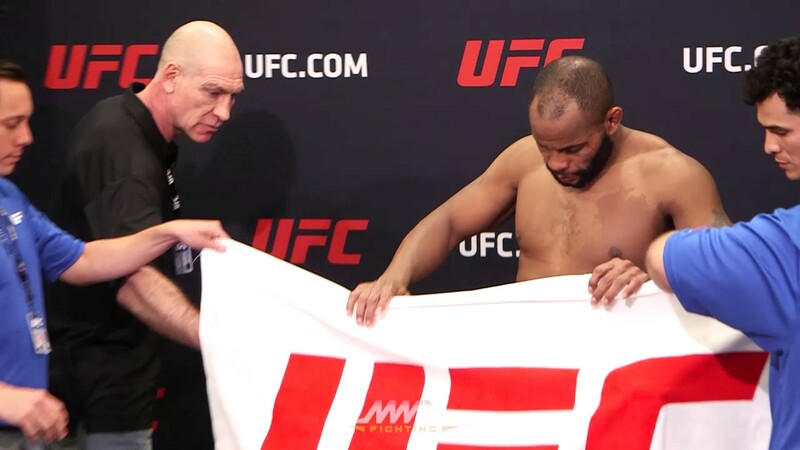 Did Cormier's weight issues follow him to the UFC? If not, this is water under the bridge. Actually, it was Lee Kemp, not Kenny Monday, who said you will be 300 lbs. if you do not get your nutrition under control. Literally, Daniel almost died making weight for the 2008 Olympics. He was a former bronze medalist and had a serious shot at Olympic gold. Obviously, he has done much better making 205 for MMA than he did making 211 for the Olympics. That's a pretty remarkable improvement from expected to be over 300 pounds to being able to compete at 205. I want that guy teaching me about weight management. He clearly knows what he's doing. Crazy a HS team would have so many coaches, especially since they were all D1 All Americans. My HS team had 1 HC and the Junior High coach was considered his "assistant head coach". I coach a nationally ranked high school team, and at one point we had 3 high school coaches. Gilroy is going to have more D1 All-American coaches than we had coaches period. The best high school coach I have personally witnessed is/ was Wayne Branstetter. This is based on some of the best I've seen in PA Harrisburg County and around. I've never, ever seen a coach squeeze so much juice out of a kid. Talk about taking a nobody and molding him into a somebody. WoW!! Just Wow!! If you've ever heard one of his "wall talks" you know what I'm talking about. I'm going to miss reading about his team with him at the helm. I saw he retired and one of his assistants is taking over. Awfully big shoes to fill. Wayne did amazing things over there in San Diego.